If you’re reading this dear NARC reader, you’re almost certainly aware of Little Buildings as a tip-top, welcoming music venue and rehearsal rooms. You may or may not be aware though that come April 2019 this awesome space will be forced to close its doors. Their rent is set to be doubled by their landlord, and this grassroots venue simply can’t afford that. Their landlord is doing this because he can, and with a finite lease, the awesome people behind the scenes of LB don’t have a leg to stand on. 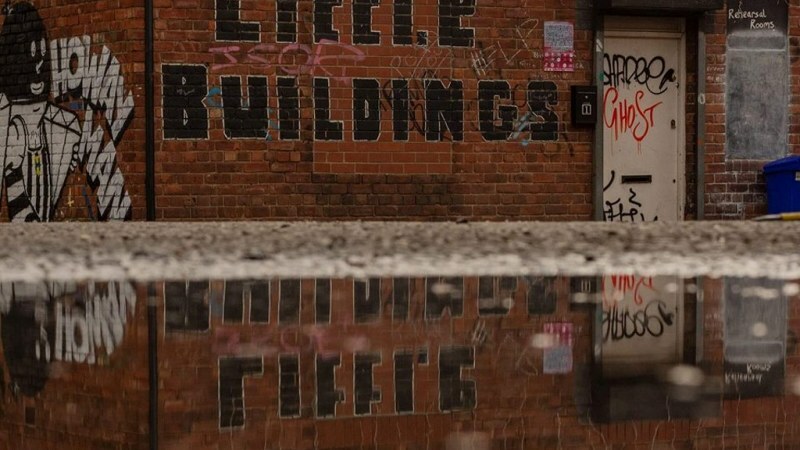 With this cornerstone DIY music space facing a fight to retain its place at the heart of Newcastle’s music scene, they’re looking for your help in signing a petition and helping the fight to save Little Buildings. Community spirit has always been at the heart and soul of what Little Buildings does, and it’s been a haven for bands new and old, providing a platform to some incredible music talent and being supportive of those finding their feet. The team are now in search of a new venue, but suffering from the gentrification of the Ouseburn (it’s crying out to be a cafe or solicitor’s office apparently) there’s a fight to save our cultural community. While this may not save LB in its current form, we can raise awareness and show the fight that’s in store for those trying to tear our cultural hubs down. Urging MPs to take a stand is a good step, and you can email Newcastle East MP Nick Brown and let him know about the situation (nick.brown.mp@parliament.uk). The petition can be found here, so get signing and let’s save Little Buildings.